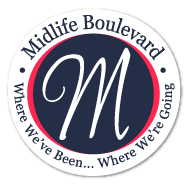 If you are serious about finding “the One”, figuring out if the man you are dating is Mr. Right or Mr. Wrong as soon as possible is high in your priorities. No one wants to waste time dating someone who doesn’t have the potential to be a match. Knowing what you want is the fastest way to determine if he has potential or not. Otherwise, what are you basing the decision on? The best decisions are made with your heart and your head. If we make choices that are too far in either extreme, we miss the reality that’s right in front of us and could continue dating a man who isn’t a match, or miss out on the one who might be. The truth is, love is blind only if you are, and what you want begins with you, not with him. First take time to know yourself and what’s important to you, and then decide who you want him to be. Start with making a list of absolutely everything you could possibly want in a man and a relationship. We’ll call him Mr. Perfect. Since no one is perfect, narrow down your list into what you must have and what would be nice to have. Be sure these are things that are valuable to you so you are defining Mr. Right for You, and not Mr. Right according to everyone else. Deal breakers are things that would make you automatically pass on dating him. They speed up the process by helping you weed out those who aren’t a match, focus on what you actually want, and allow the men who have potential to be “the One” into your life. Another sign of Mr. Wrong is listening to the knot in your gut and that annoying little voice in your head that’s saying, “what’s up with this guy?” or “something doesn’t add up.” Explore those instincts and make a smart choice. Settling is also a sign of Mr. Wrong. For example, if you think about him, and your relationship, and you find yourself sighing in a defeated, “I’m so tired of dating, but I don’t want to start over” tone, you are on the way to settling. Remember that there are a lot of good men in the world and you’re only looking for one. Sought out for her practical wisdom, Debra Kunz is an award-winning author, insightful coach, and inspiring speaker. As a catalyst for deliberate growth, her great passion is creating light-bulb moments for people to learn something new about themselves, and to take action to make their life and relationships better. 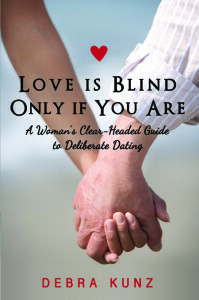 Debra is the author of “Love is Blind Only if You Are”, voted #1 Best Dating Book 2013, and the creator of www.DeliberateDating.com , named in the 10 Best Dating Blogs for building confidence and courage in the search for love. For a sample of her book, visit www.deliberatedating.com/freechapter or buy it at Amazon.com or BarnesandNoble.com in an eBook or paperback. I was never into dating either. Glad you found your Mr. Right! There are people who really should have had a check list before making this important decision. Glad you didn't need one. Sounds like you already knew what you wanted, not everyone does. Glad you found your Mrs. Right! Sometimes the best opportunities are those we didn't know we already have. Glad he surprised you! I agree. Why continue if they are not what you are looking for? Loving is very different from being in love. Breaking up is often what keeps people from dating in the first place because they don't want to be hurt – and it's what keeps people in relationships that aren't really a match because they don't want to be alone. Everyone deserves real love though sometimes you have to date some to find it — or so it can find you. Very cool post. I'm not in the dating market myself, but a friend of mine who was, had told me how she'd made a list when she and her husband split up containing the criteria for any new man she would allow into her life. She went thru a few that weren't the right one, but eventually found one she wanted to keep. And when she pulled out that list written a few years previously, the new man had every one of the attributes she'd been looking now. They've now been dating for over a year and are very happy. So happy for your friend! Thanks for sharing that story. « Make an Elvis song into a BOOK contest!